Have you ever seriously thought about setting goals for your long distance relationship? It might sound quite daunting but it does not have to be. Let us show you how you can set some goals in just 10 minutes! If you are currently in a long distance relationship, it is important that you set a few goals to help maintain the relationship. Long distance relationship goals are a sign of commitment and if both you and your partner feel committed, there is a higher chance that you will survive the challenges of living far away from each other. Having goals and keeping to them is like having something solid to hold on to. One of the biggest difficulties of being in a long distance relationship is that you will often feel insecure. Having these goals as a foundation will help keep you strong and focused. Furthermore, these goals will provide a clear direction on where you and your partner should be heading toward. The closer you are to achieving the goals that both of you set together, the more confidence you will have in your relationship. This confidence will help give you strength when you feel like giving up, getting you through the most difficult times. Finally, having a clear set of goals can actually help you close the distance sooner than you think. When you follow the steps that both of you had laid out, you will find that you are getting toward the ultimate goal of being together without the distance in the shortest time possible. So how do you go about setting realistic goals for your long distance relationship? It is understandable that you might feel overwhelmed when you think about it and do not know where to even begin. We are not asking you to map out your entire life with your partner in great details. That would be impossible as there are many unknown factors and things will certainly change down the road. However, setting goals is critical to moving forward in your relationship while keeping things positive. Our step-by-step guide below will tell you exactly how you can set basic goals that are achievable in just 10 minutes! Take out a notebook or you can just use your phone, laptop, or tablet. Then, think up about three to five long-term goals to close the distance between you and your partner and jot them down. Have your partner do the same too. Some of the most common goals long distance couples have are the frequency of seeing each other physically, moving in together, find a job closer to each other, etc. Now show each other the goals that you have written down. Talk to each other and discuss which goals you want to keep and which ones should be eliminated. Once both of you are satisfied with the goals, add a time to each of them. For example, you might think that you want the next visit to happen at about six months from now or that you want to finally live together within three years. Pick up a stopwatch or use your phone and set the timer for two minutes. Now, jot down all the steps you think both of you should take to achieve each of the goals you have set. Stop writing when the timer goes off. This step is very similar to step two. Compare the steps that you have written down with your partner’s and filter out the ones that seem irrelevant or the ones that both of you cannot agree on. Again, talk about how long from now do you need to fulfil each step and write the time next to the steps. Now you have your short-term goals too. And there you have it, setting realistic long-term and short-term goals that both of you can agree one in just 10 minutes! 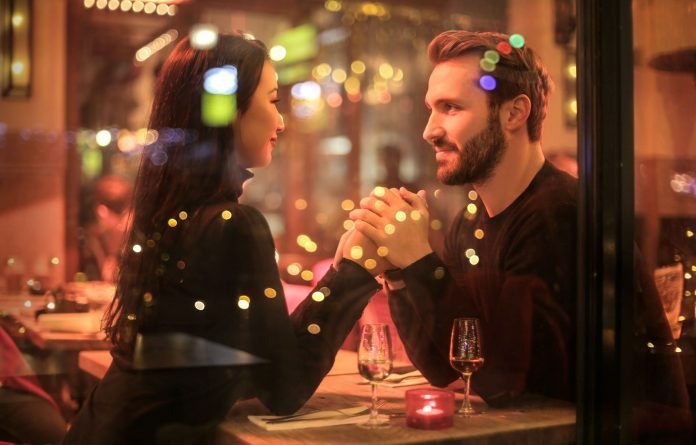 With this straightforward and easy-to-apply method, you and your partner do not have an excuse not to set goals for your long distance relationship anymore. 1. The goals you set should be specific and achievable. For example, you might want to move in with your partner already within a year, but how realistic is that? You should only set goals that you really believe you can achieve, otherwise, you will end up giving up on them. Not only that, the goals must be very specific and with a time limit. A vague goal like “Meet up as often as possible” with no time limit nor steps to achieve it will also end up being useless. 2. Write down the goals you have set. I cannot stress how important it is to record what your goals are. You might think that you won’t ever forget them since they are so important but unfortunately, our minds sometimes alter perceptions through time. Without a record, your partner or yourself might remember the goals differently and this could result in an argument. Write down the goals and display them at a place where you will see it often like your bedroom wall or even set it as your computer’s wallpaper. This way, you are constantly reminded of them and you will feel motivated to achieve them. 3. Train your brain to always think about the goals you have set. The last thing you should do is write down your goals and then forget about them. Setting them is just the beginning and you will need to make sure that you do your best to achieve them too. Whenever you have time, read the goals again and train your brain to make them come true. 4. Do not give up when you hit a roadblock. We do not live in an ideal world so you must expect that things will not always go as smoothly as we want them to. Sometimes, it might take you longer than expected to achieve your goals but that is all right. Just make sure that you are persistent and do not let it demotivate you. Understand that the goals you have decided on do not have to be set in stone. While you are getting close to one of your goals but it does not seem like you could achieve it in time, start a discussion with your partner about it. Evaluate what you could have done better and set a new time limit. It is also entirely possible that this particular goal is no longer relevant and you might want to set a new goal instead. Sharing the same goals and working together to achieve them will enhance the bond between you and your partner and keep both of you on the same page.